IAG, the owners of British Airways, have just ordered 42 Boeing 777X aircraft from the aerospace giant. The Boeing 777X builds on the technology of the Boeing 787 Dreamliner and the aircraft offers a fuel per seat saving of 30% compared with British Airways ageing 747 fleet which will be replaced by the 777X. Delivery of the 777X aircraft, although not confirmed could start as soon as 2020. This Boeing 777X is worth around $18.6 billion at list prices, but as we mentioned in a previous Simple Flying article, it is likely IAG received hefty discounts on this order. British Airways Boeing 777X. Photo courtesy of Boeing. IAG has specifically ordered 18 777-9 variants and options for 24 more. What is the Boeing 777X? Why is it good? There are two versions of this next generation jet, the 777-8, and the 777-9. The smaller version can fly further but the larger version can carry significantly more passengers. The 777X builds on impressive technologies developed during the 787 programs. 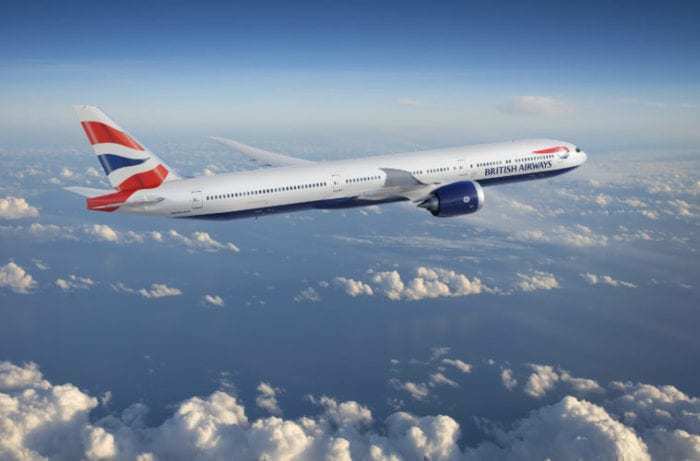 For one, the aircraft will be far cheaper to operate with 12% less fuel consumption than previous versions (specifically the 777-300ER, which British Airways operates nearly 60 of). It also has a wider footprint, bigger windows, quieter cabin, new lighting, turbulence detection and better pressurization (increased humidity as well). It is likely that with this larger and new plane, IAG will take the opportunity to fully redesign the interior. With a new Club World being designed for new A350’s which are getting delivered from July this year, we can expect this same A350 cabin will be used on their 777X aircraft. 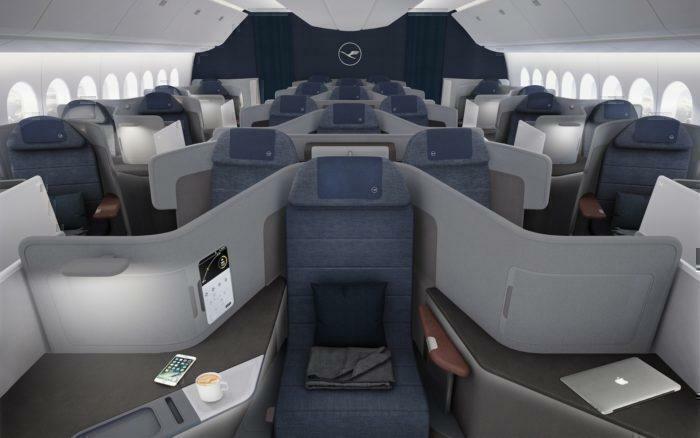 Lufthansa (who are eagerly awaiting their 777X) have also taken the opportunity to create an impressive new business class we can’t wait to try. These new club world cabins will feature all the new developments we have come to expect. We imagine there will be privacy screens, wider lie-flat seats, and direct aisle access. There may also be a ‘throne’ style seat, in which in the business cabin the seat configuration moves from 1-2-1 to 1-1-1 each alternate row. These seats will be very popular for solo travelers who want as much room as possible. British Airways can expect to have their new jets in service sometime after 2020. What do you think about British Airways operating 777X aircraft in their fleet? After, that will be Air France! The 777X is an aviation paradigm shift which has caught Airbus flat-footed. Even though sales have been slow in coming for the 777X. It was a matter of time where the 747 and A380 had to go before the 777X could shine. There are more 777X customers announcing talks in 2019 and some are currently ongoing between the 777X and A350-1000 battle. If Boeing stales the A350-1000 order book for 2019 then Boeing will continue building the 777X case for the next 10 years. Remember the 777-10X is still on the drawing board. Thus the 777X begins its mission to replace the remaining big quad jets (as intended). I’ll be pulling up my lawn chair to watch the 777x’s head-to-head with the A350 over the next few years. As a passenger, I am hoping the 777x incorporates the more passenger-friendly environment of the 787…in particular the reduced ambient noise. It seems this is Boeing’s intent. Really surprising… if there was one flag carrier on the planet that I would think would not order this aircraft, it would be BA, since these jets are not available with RR power plants at all. Likely because BAE customers prefer fan blades that remain attached to the engine in flight. BA have 46 777-200 and 18 777-300 in operation. Please correct your article it is misleading. I hate the 787 with 9-seat abreast in economy and the problem with the new 777x with 4 inch wider than existing 777 is that 10-seat abreast arrangement will be standard. Currently about half of the 777s still have 9-seat abreast in economy. The new 777x will all have 10-seat across in economy eventhough it is only 4 inches wider.